Perth’s indie wonderkids, Institut Polaire have released their debut ep “The Flora and the Fauna” out through Popfrenzy bringing the heavy instrumentation and catchy-pop, soulful lyrics to a crossroads of something a little country, a little folk and a whole lot of something we wish there was more of. The WAM Song of the Year winners from last year have delivered a five-piece compilation of songs which has married the textured layers of the instruments, the lyrics and the voice of Eric Hecht to new heights. Produced by Rob Grant and including contributions from Jim Colvin on saxophone, Melanie Price on trombone and Monique Archer in the role of soprano vocals, adds another layer to the vast instrumentation of the permanent members of the group – a sound aspect to the band that has set them apart from their contemporaries. The title song, “The Fauna and the Flora Are Too Closely Allied” is one of those songs that if you haven’t been convinced from the outset of listening to this band, this song will soon change all of that. It marries the violin from Colvin and the trumpet from Brannen exclusively with that of Eric Hecht’s smooth tone to give the listener a graceful, and pop-styled melody – a song that will be hard to forget. The body of work on the ep shows a vast range of instruments, melodies and song structures, which the group can call on to deliver a resounding and unmistakable sound. Each song delivers in equal measure to the listening pleasure of the package and brings an unforgettable end, in the song that many will recognize Institut Polaire for – “City Walls and Empires”. 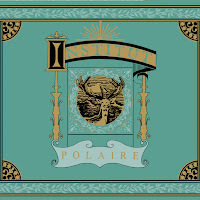 Institut Polaire have come a long way with only a few releases, but have made a deep and resounding impression on Perth and Australian audiences who have seen them live or heard their material, making ‘The Fauna and the Flora Are Too Closely Alllied’ an essential addition to anyone’s music list. Presented by Fremantle Arts Centre, Sonic Sessions is an unprecedented opportunity to join host, Lucky Oceans and WA superstar musicians in a mix of conversation, intimate concert and old- fashioned jam in the magical Inner Courtyard. Sonic Sessions offers rare, up-close insights into these huge stars of the WA music scene. are growing in the US market. Kav Temperley cut his musical teeth in local Freo pubs to become one of Australia’s most successful songwriters with Eskimo Joe lauded the world over. All tickets $20 – General Admission. Book on 9432 9555 or in person at Fremantle Arts Centre. All shows starts 8pm – Gates open 7pm. Bar open – No BYO – Café open for light snacks. Brazilian good times, sun soaked rhythms and party styles shake Northbridge this November. It’s the return of the massive RTR Event, Spring in Sao Paulo. Get along to SoCo Cargo an amazing self-contained set up on Roe Street Northbridge, Friday November 30 from 8 til late and catch some extraordinary RTR DJ talent on a beautiful and bouncy bill. Our DJ talent at the event includes: Nik K and Tom Foss from Global Rhythm Pot, old RTR head DJ Gear, Jumpin Josh and Claude Mono from El Ritmo, Ben Taaffe from Underground Solution, Graceberg Slim from Soulsides, Wrighteous from Black and Blue, and Dart and Sardi from Wednesday Full Frequency. Plus our very special guests, those latin rhythm masters, direct from sweaty Sao Paulo via down town Perth, Sambalicious – live and in full effect. Admission is by door sale only. It’s free entry for ALL RTRFM Subscribers and only $15 for General Admission. Head down and enjoy the beats, the great venue and a wonderful RTRFM styled atmosphere in the middle of downtown Northbridge. Spring in Sao Paulo: é um celebration grande.